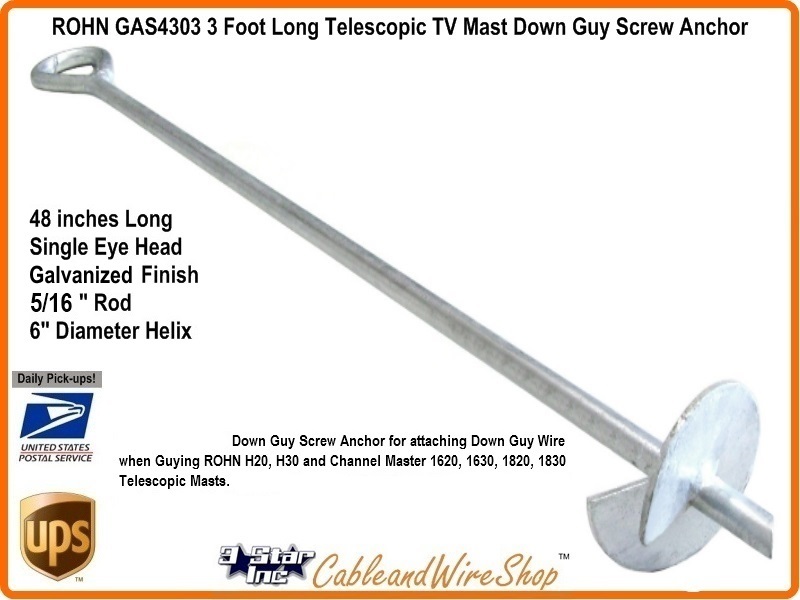 This is a 48" long Screw Anchor for Guying ROHN H50, H40, H30, H20 and Channel Master 1620, 1630, 1640, 1650, 1820, 1830, 1840, 1850 Telescopic Antenna Masts down to the Ground. The HDG Screw Anchor's Rod Diameter is 5/8" formed into a Single Eye with a Disk Diameter of 6". Similar to the Easy-up EZ 48 Anchor.